Highest (IQs). 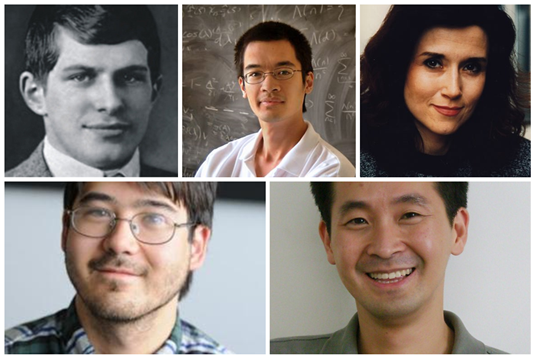 Upper left: William James Sides (250+), Terence Tao (230), Marilyn Vos Savant (228), Christopher Hirata (225) and Kim Ung-Young (210). Is humanity getting smarter or dumber? This question has bugged Intelligence Quotient (UQ) researchers for years. The jury has not yet rendered a definitive verdict. The prevailing view is we are getting smarter. A recent study of all the studies, a meta-analysis by Jakob Pietschning and Martin Voracek, reported in 2015, found four million people, in thirty-one countries, had an average gain of roughly three IQ points per decade. So seemingly entrenched was this view that it had its own name, the Flynn Effect, named for a New Zealand professor that described the phenomenon in the 1980s. Not so fast, say I. A recent study of some 700,000 Norwegians, that’s more than one-in-eight people, found that intelligence, assuming you are prepared to accept IQ as an appropriate, reliable measure of intelligence, has not only stagnated over the past 40 years, but declined. Other studies of Scandinavian countries have yielded similar results. Before we go any further, we must note the supreme irony in these finding. It wasn’t long ago that US Great Helmsman, Donald J Trump, was fretting, to his advisors, how it was too bad his country had to take immigrants from the cesspool countries of Africa, instead of Norway. Now it’s true that Norway did finish first in the medal count at the recent Winter Olympics in South Korea, compared to the US fourth place finish. Let me offer a friendly reminder. Canada came in third. What would appear to Trump, with hindsight, is another stab in the back of his country by Canada. This, he believes, confirms that Canada is indeed a threat to US national security and further justifying those huge tariffs. Now back to Norway and IQ. The Norwegian Olympic team that earned itself press coverage. Some Norwegian team member placed an order 1,500. On delivery, he or she discovered they had ordered 15,000 eggs. Not even calorie, protein and carbohydrate hungry Norwegian cross-country skiers could eat their way through that mistake. All male, armed forces IQ. Two red flags go up about the reliability of the study of dumb-downed Norwegians. First, the subjects were all male, a gender not known for its accomplishments, that routinely finishes a distant second to the female of the species in areas such as common sense, multi-tasking, nurturing, determination and self-awareness. It may be that men are getting dumber, but women could equally be getting so much smarter. Second, the subjects were armed forces recruits. Studies in the US show its military officers, its career hires, are doing worse on IQ tests than they did a generation ago. You can insert, here, your own joke here about military intelligence being an oxymoron. Assume intelligence has declined, over the past couple of decades. Why has this happened? Have we reached peak intelligence in the developed western world? Pietschning and Voracek suggest it might have something to do with education, media exposure, nutrition, health or immigration. That covers almost all the bases. It’s also a powder keg; we can feed our own beliefs; it’s a confirmation bias. Some will say a decline in IQ confirms technology has rendered us such slaves to specialized knowledge and confirmation bias that our general problem-solving capacity has diminished. Others will say it goes to show that more spending on education is necessary. Maybe Donald Trump will seize on the immigration explanation and insist he was talking about real Norwegians, not first-generation Norwegians. Some will say it confirms the Scandinavian social experiment has failed. A general decline in IA may also inflame the debate about whether these are the best of times or the worst of times. Celebrity Harvard scholar Steven Pinker has just published a second tome Enlightenment Now, which follows on the heels of his The Better Angels of our Nature. Pinker argues that by all broad measurements, society has grown a heck of a lot safer, smarter, healthier and civiler over the centuries and the decades. Pinker no doubt sees the study of Norwegian intelligence, by Pietschning and Voracek, as a blip on the horizon. Then, of course, he never had to digest his share of 13,500 surplus eggs, as did the Norwegian ski jumping team. Analyses of stochastic data may have its limits, Dr Pinker.